You may have heard of this alternative form of oral health care called oil pulling. Within the past couple of years, it’s become an increasingly popular way to boost oral health and the appearance of teeth. But does it actually do all the things it claims it can? Our dental office in Clinton Township is here to find out. First discovered over 3,000 years ago, oil pulling is an ancient technique originated by Ayurvedic medicine. Ayurvedic medicine was founded in India and is a holistic approach to medical care. It wasn’t until the past couple of years when the trend started to infiltrate into modern times and has since become widely used. The act of oil pulling is simple, but does require a commitment. 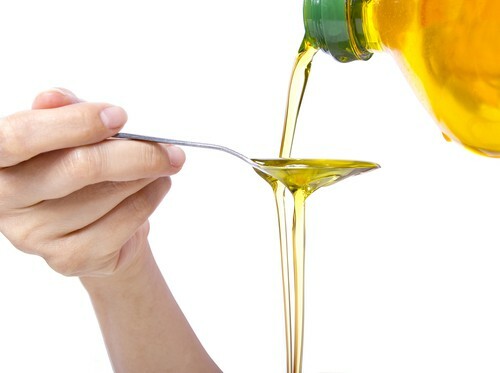 You start by taking a tablespoon full of liquid vegetable oil — most people choose coconut oil — and swishing it around in your mouth for 20 minutes. During this time you should push and pull the liquid in between your teeth and expose it to every part of your mouth. Once the 20 minutes is complete, simply spit it out and rinse with water. Many oil pullers recommend doing this every day for maximum results. There hasn’t been a wealth of research conducted on oil pulling, but what we do know is that it is not a substantial substitute for brushing and flossing daily and seeing your dentist in Clinton Township twice a year. With that said, there is some truth behind some of the benefits of oil pulling. Swishing with coconut oil, for example, for 20 minutes each day can help remove surface stains on teeth, therefore giving them a brighter, whiter look. It can also be used as an alternative to mouthwash to help freshen breath. Even more, daily oil pulling may reduce the amount of plaque in the mouth. However, the amount it removes isn’t enough to counteract gum disease or reduce the risk of cavities. There’s still a lot of research that needs to be done to truly understand just how beneficial oil pulling may be to oral health. Until then, we encourage you to keep brushing, flossing, and visiting our Clinton Township dental office regularly to ensure optimal oral health. Accepting new patients from Clinton Township, Sterling Heights, Roseville and beyond.